Includes guided tour of two plantation homes and narrated transportation. So as to have ample time to tour the plantation homes and grounds, we suggest you bring dry snacks/food to consume on the bus ride. Only dry snacks/foods and beverages with tops are allowed on the vehicles. Coolers or meals are not allowed. Snacks and beverages are available for purchase at each plantation; Oak Alley has a café. Gray Line now offers a special tour where guests will be able to choose 2 of 3 plantations to visit on the Great River Road that winds along the Mississippi River: Whitney Plantation, Laura Plantation, and Oak Alley Plantation. This tour combines Laura and Oak Alley Plantations. Laura Plantation – Enter a fascinating world of Creoles who, at this sugar plantation, lived apart from the American mainstream for over 200 years. The tour is based on four generations of family documents revealing the real-life accounts of the owners, women, slaves, and children who lived here. Oak Alley Plantation – Oak Ally, the Grand Dame of the River Road, is Louisiana’s most photographed plantation, showcasing beautiful Greek revival architecture. 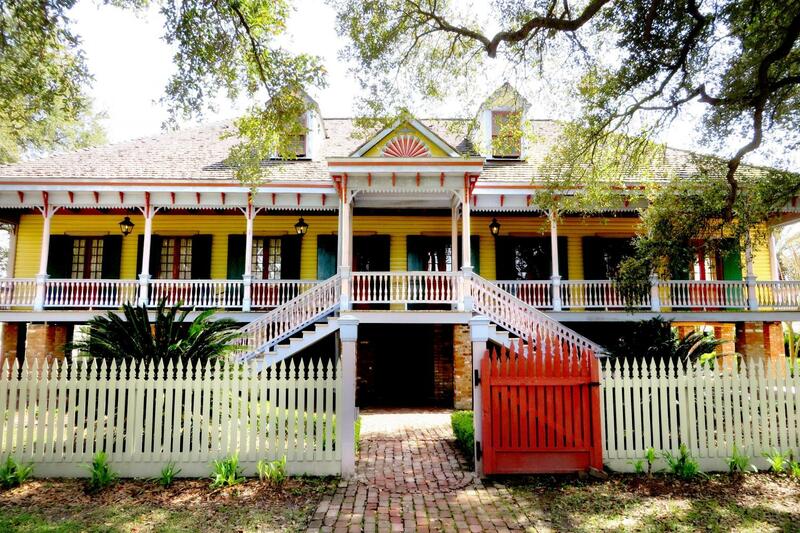 See a plantation that once played hosts to a Civil War encampment. Stroll the magnificent alley of 300-year-old live oak trees to the Mississippi River. Awesome. The quality of the tour was exceptional. Would definitely do it again. As Plantations me proporcionaram uma bela experiência. A paisagem e maravilhosa e pude aprender bastante sobre a história e cultura local . Dommage qu'on ne puisse pas se balader seuls dans Laura Plantation; cependant le tour y est exhaustif. Le tour de la villa de Oak Allley est peu intéressant en comparaison. Privilégier une balade dans la propriété. Bon combo de plantations de styles très différents. The Laura Plantation was excellent. The Oak Alley was okay. I felt like I got more history from the Laura Plantation. I did not have enough time to visit the entire Oak Alley Plantation. So that was a bummer. A sad history lesson but worthwhile.